Car aerial adapters for Nissan. Convert Nissan specific aerials to allow connection of a new after-market radio, FM modulator etc. to your Nissan. View our range of Nissan car aerial adapters below. 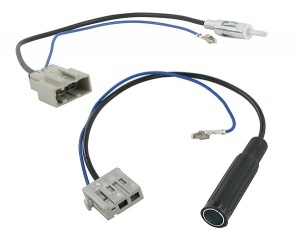 Nissan aerial adapters to convert Nissan aerial connections to DIN to allow the installation of a wired FM modulator. 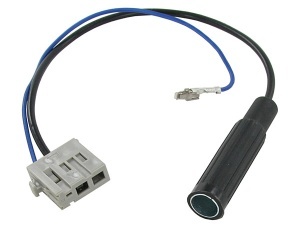 This Nissan aerial to male DIN aerial adapter converts a Nissan aerial connector to allow the installation of an after-market car stereo. 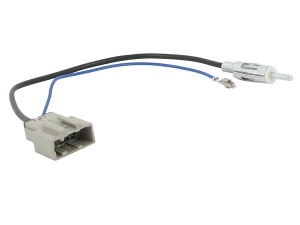 This Nissan female aerial to female DIN aerial adapter converts a Nissan aerial connector to female DIN. This is sometimes required in the installation of an after-market car stereo or wired FM modulator.